The Time Lords have been in the background of Doctor Who for over forty years; this fantastic political drama puts them front and centre. Castellan Wynter: I cannot foresee any reason why the Castellan’s office and the CIA should have cause to even cross paths, let alone work together. Good day. Coordinator Narvin: Then you’re a fool, Wynter. Thanks to the President, her precious “Welcome one and all” Academy, and her liberal policies on crime and punishment, our paths will cross on an almost daily basis as we clear up the mess she makes. The first episode of Gallifrey Season 2 reintroduces all our players in a swift and engaging series of confrontations that are such superb dialogue that you barely realise it’s 90% exposition and character sketches. Lalla Ward dominates the outstanding cast as Madame President. It’s hard to believe she wasn’t originally chosen for this role. Conspiracies and alliances play out in a shifting political web in Gallifrey’s capitol. Cardinal Braxiatel serves as Romana’s unctuously loyal right-hand-man, heading the Academy now that she’s flung the doors open to other races. CIA Coordinator Narvin is disgusted with Romana’s liberal policies and convinced she’s leading them into ruin. Andred, having betrayed just about everybody, languishes in a dungeon. Leela and her K9 are off explorin. As so often, they discover hidden dangers lurking beneath the Time Lords’ feet. Who will backstab whom? And who’s really loyal? That’s a very complicated question. Romana, it turns out, cannot even trust herself, despite being a convincingly competent and charismatic president. There’s something lurking in her past that bodes ill for Gallifrey’s future. It’s all good. Considering what a big cast this is, Lies does an impressive job of devoting time and clarity to every character, reminding us of who they are, what they’re like, what their motives are, and (in most cases) a few secrets about them we didn’t know before. I’m a little wary of the “huge threat we’ve never heard of before at the heart of Gallifrey,” but then, the introduction of Rassilon caused a hue and cry among fans back in the day. More importantly, this threat provides us with a truly unique villain. Season 1 Gallifrey was good. But this is when the series really finds its feet. I’ve heard Gallifrey up through the end of Season 3 before, and I’m very much looking forward to (as well as dreading) hearing these audios again. It’s more painful listening this time, now that I know just how badly things are going to unravel. (Except not really, since like I said, I’ve only reached the end of Season 3). The worst part is knowing that Braxiatel may not be quite the unswervingly devoted friend he appears to be (Or is he? I’ve barely heard him in the Benny series, and I still don’t quite know what to make of him, except that he’s great fun). Narvin’s world-wary cynicism is also amusing. I love these complex characters; even Romana has her dirty secrets. Only Leela continues to be a pure soul in a morass of political expedience. Thank goodness Big Finish roped in Mary Tamm while she was still alive. 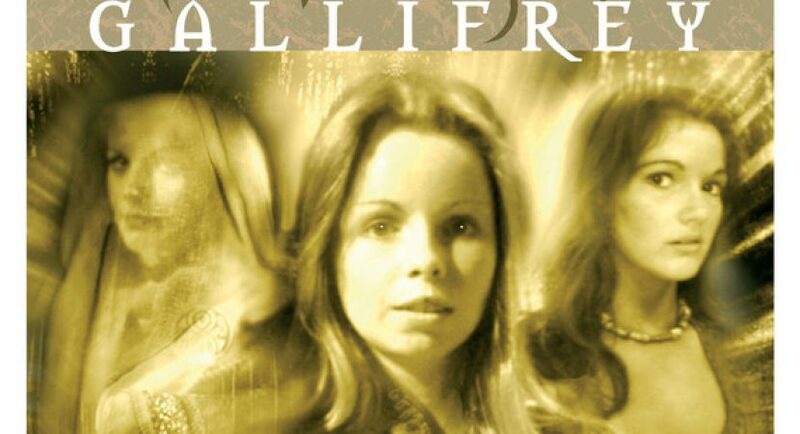 That all-too-brief conversation between her and Lalla Ward makes the entire Gallifrey series for me. And I still admire the fact that Big Finish almost managed to come up with a rational explanation for Romana’s vanity regeneration. It doesn’t explain why she was able to try multiple bodies before settling on one, but at least it gives her a motive for doing it. It amuses me that after Romana was so insistent about the Doctor using her full name when she first met him, she’s now using “Brax” for her friend Braxiatel. Also? Listening to all this three days after the Brexit vote, when the poor UK is about to embark on an unwelcome descent into chaos, makes the politics feel even more real-world. Romana’s idealistic mission to unite the temporal powers and allow foreign students to attend Gallifrey’s Academy seems like a worthwhile project, doesn’t it? Sigh.